yourmedicineshoppe has no other items for sale. Fresh Balls in NEW SIZE Bottle 3.4 oz! TRAVEL SIZE Fresh Balls by Fresh Body! Immediate payment of US $15.49 is required. 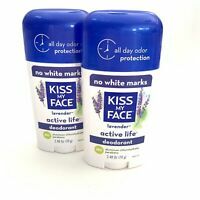 ORIGNALLY BOUGHT THIS FOR MY 7YR OLD GRANDSON...SENSITIVE SKIN. NOW ADULTS IN HOUSE ARE USING TOO. LOVE THE SMELL...CLEAN...GOOD TO THE SKIN. ILL BE A REPEAT BUYER FOR SURE! Love the small and cleanliness of lavender! Thank you for making me feel clean when I go to work. Mild and pleasant scent. Great for sensitive skin. Cleans very well, smells great and is a good value.